When you give your loved one's body to a funeral home, the burial process or cremation does not usually begin immediately. 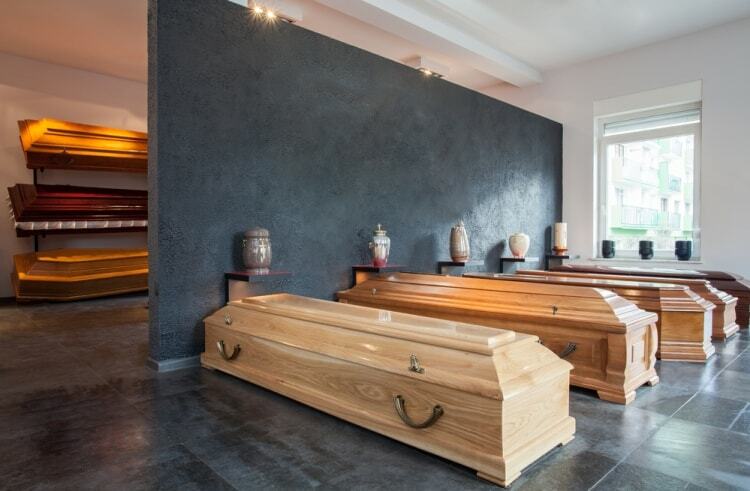 Miami wrongful death attorney from the Dante Law Firm, P.A., to spell out some of the most common types of funeral home negligence that exist in Florida. Aug 03, 2018 | Under Wrongful Death Accidents | Posted by Dante Law Firm, P.A. If you have recently lost a loved one, it certainly seems that it could not get any worse. Believe it or not, it can. Unfortunately, an increasing number of Americans become victims of funeral home negligence every year. I know what you are thinking, “Wait a second… Funeral home negligence, seriously? I am already suing the person or business whose negligence caused or contributed to my family member’s death, will I have to pursue another claim to sue the funeral home for negligence?” Well, you might. If you are reading this, chances are you have already experienced or witnessed funeral home negligence first-hand, or have reasons to believe that the funeral home that handles cremation or burial of your deceased family member has engaged in unethical, wrongful, or otherwise illegal practices. Unfortunately, funereal home negligence has become a widespread problem in Florida and all across the United States. We say “unfortunately,” because it is a shame that certain predatory and unscrupulous funeral homes take advantage of the surviving family member’s vulnerability, weakness, and despair in order to gain financial gain or simply because they could not care less about the deceased’s dignity or the surviving family’s emotional vulnerability and grief. We invited our Miami wrongful death attorney from the Dante Law Firm, P.A., to spell out some of the most common types of funeral home negligence that exist in Florida as well as outline the legal options available to fight against this deplorable type of negligence. When you entrust your family member’s remains to a funeral home, you expect its employees to handle cremation properly and treat the body of your loved one with respect. Unfortunately, funeral home negligence can lead to improper cremation practices, and since surviving family members receive unidentifiable cremains after cremation, it is impossible to estimate how common this type of negligence is. Our experienced wrongful death attorney in Miami explains that he has witnesses several types of improper cremation practices in his lifetime, including but not limited to funeral homes losing cremains, cremating the wrong body, mixing the ashes of one person with another person’s cremains, giving mislabeled or false cremains to the family, forgetting to cremate a body in a timely manner, and many more. When you give your loved one’s body to a funeral home, the burial process or cremation does not usually begin immediately. That means the funeral home may have to transport or store your loved one’s remains for quite some time, which, in itself, can create a breeding ground for a plethora of negligent or careless acts or omission to act on the part of the funeral home. For example, stories of funeral homes failing to transport or store bodies properly are not unheard of. Therefore, you never know what happens to the remains of your loved one once you entrust the body to a funeral home. For all you know, your loved one’s corpse could be misplaced or dropped during transportation, or the funeral home may fail to store the body properly and fail to prevent decomposition from setting in. There have also been an enormous number of outrageous cases where funeral homes engaged in the practice of illegally selling body parts for a significant amount of money. This type of body trade is illegal in Florida, and if you suspect that your loved one’s body has been sold or improperly handled, do not hesitate to contact a lawyer to launch a thorough investigation. Overcharging grieving family members for burial procedures and cremation services may not be as disturbing and outrageous as illegal body trade, yet it is considered “funeral home negligence” when funeral homes sell services that are not necessary or overcharge for their services for financial gain. Consult with our top Florida lawyers at the Dante Law Firm, P.A., to find out more about this type of negligence as well as your legal options to sue the negligent funeral home. Call at (305) 949-2526 or fill out this contact form for a free case evaluation.